This piece first appeared in the news section at Colorado State University’s Department of Art and Art History. It is reprinted here with permission. It is no longer an alarm clock that wakes Annie Seipel in the morning, but the melodic tones of a 5:30 a.m. call to prayer. Her charming fourth-floor apartment is catty-corner from the Errahmen Mosque, located in the heart of the Sahloul neighborhood in the picturesque seaside town of Sousse, Tunisia. From her first day in the Department of Art & Art History at CSU, Annie envisioned her future in exactly this spot. Annie came to CSU with a plan that included finishing her studies abroad, and after serious consideration, she applied to The School for International Training (SIT) program Tunisia and Italy: Politics and Religious Integration in the Mediterranean. SIT doesn’t get as many Liberal Arts majors as some other programs, but her interest in art from the region, coupled with an interdisciplinary minor in Arabic Studies, made this a great match for Annie. Scholarship opportunities from a First Generation Student Award and a Creative & Performing Arts Award secured through the Department of Art & Art History helped make that dream come true. As an art major, Annie learned about other cultures – crediting her studies for allowing her to better develop acceptance and respect for cultural differences. Her arts background taught her to view and appreciate the Tunisian culture with both a critical eye and inclusive understanding. Active engagement with a number of diverse clubs and groups on the CSU campus gave her experience planning events and marketing the programs in which she was involved, as well as knowledge necessary to serve an academic community. Work with student groups, coupled with classes in her art major, helped her hone her communication and outreach skills to the next level, skills that prepared her for her new job as Coordinator of the American Corner. During her semester abroad Annie connected closely with the local community. 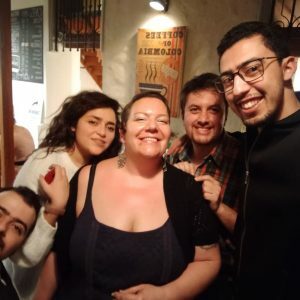 She made the most of networking opportunities, developing deep friendships both with participating SIT students as well as the amazingly welcoming and helpful Tunisian people. Her ongoing internship with an NGO in Tunis as well as her new friendships made the transition from student to ex-pat resident an easier path than it might have been moving to a new country half-way around the globe from America. 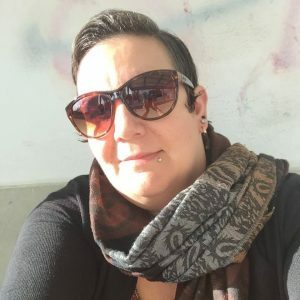 Through both her study abroad and her new friendships, she learned much about Tunisia, its people, and its culture – she very quickly fell in love and knew that it was where she wanted to stay – a fitting end to a global journey that started in the Department of Art & Art History at Colorado State University.